Sizing It Up: Can Starliper Win Foot Locker Nationals? Anyway you slice it, it's going to be a very close race for the Foot Locker national title on the girls' side on Saturday. In a wide open field, Marlee Starliper, a junior from Northern, is among the favorites. Starliper was 13th a year ago at the meet, but she could be looking at a move up to the top spot in San Diego this weekend. Tessa Barrett of Abington Heights became the first and only Pennsylvania girl to this point to win a Foot Locker national title when she crossed the line first in San Diego in 2014. Starliper will have her chance to add her name to that list on Saturday. A pack of contenders will be in the mix, though. A glance at the numbers tells you that as many as ten girls have a legitimate claim to that top spot. Below, we make some points that make the argument for Starliper as the one to beat for the national title in San Diego. 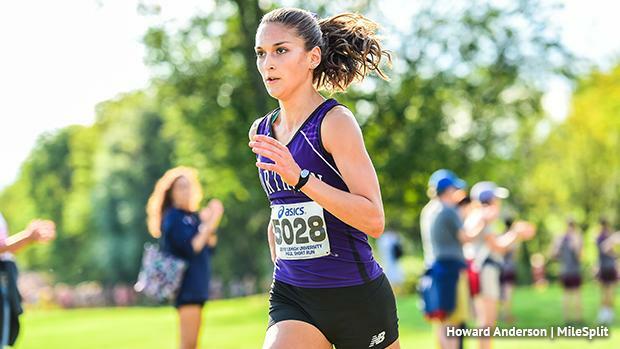 Illness kept Starliper from opening up her season at PTXC 10 back on September 9. Instead, she opened up later than basically every other Pennsylvania runner, debuting with a win at the PIAA Foundation Invitational. A later start to the racing schedule, particularly when you want to peak for a race on December 8, isn't a bad thing. But Starliper wasn't all too happy with her performance at Foundation or at her win at Paul Short a week later. A mix of sickness and harder training, she noted, contributed to that. "It was a difficult start to the season. I had a tough time holding the higher mileage that I worked up over the summer once school started," Starliper told us at the Mid-Penn Championships, which turned out to be a breakthrough of sorts for her. Starliper went 17:37 at Mid-Penns and then followed that up with a 17:19 in some terrible conditions at the PIAA District 3 Championships. At the PIAA State Championships on a sloppy and always-tough Hershey course, Starliper went 17:53. Per her speed ratings at TullyRunners.com, Starliper's speed ratings at those meets are 149 (Mid-Penns), 153 (District 3), and 154 (States) -- all considerably better than the previous year. Her performance at Foot Locker Northeast was arguably the best of her career. Starliper clocked the second fastest 5K time of her career -- a 17:17 -- and a speed rating of 159, a big improvement from a year ago. Despite a slower start to her 2018 (and no sub-17 times like that magical day in Carlisle last year), by all metrics, Starliper's junior season has clearly been the best of her career. Starliper will benefit from the competition she saw (and will see again) at Foot Locker Northeast. The field two weeks ago in the Bronx was the arguably the deepest and most top-heavy Foot Locker Northeast field in the meet's history on the girls' side. The numbers back it up. 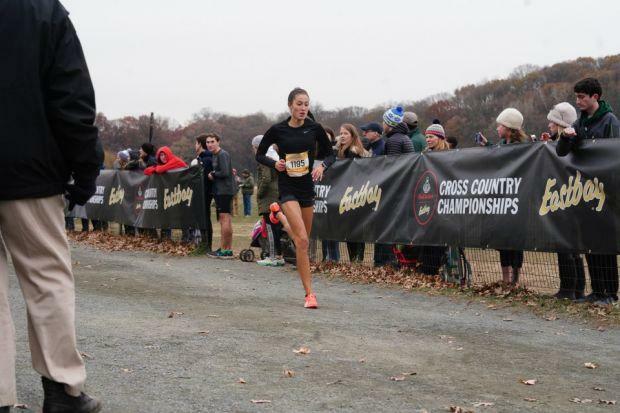 Race champion Sydney Masciarelli from Connecticut went 17:12 for the win, the fourth fastest time in the meet's long history at Van Cortlandt Park. Starliper's 17:17 was the fifth fastest time in meet history, and even third place Grace Connolly of Massachusetts ran the tenth fastest time at 17:27. Starliper entered FLNE as the defending meet champion. While she didn't defend that title, it's not hard to see that her performance this year was considerably better than a year ago, whether by time or speed rating, which was 159. Expect those Northeast contenders -- Masciarelli and Connolly -- to be among Starliper's top opponents at Balboa Park. Masciarelli posted her best speed rating, a 161, at FLNE. That's the best of any girl in the Foot Locker field (New Yorkers Katelyn Tuohy and Kelsey Chmiel ran bests of 177 and 163 this season, respectively, but ran NXN instead of Foot Locker). Connolly, meanwhile, ran a 158 speed rating at an MA meet earlier in the season and said after FLNE that she eased off the gas in the final half mile to save something for nationals. Heading into nationals now, Starliper has seen a pair of girls who will be mentioned among the favorites. That close race experience will bode well for Starliper, who was able to handily run away with most every win on Pennsylvania soil this season. Starliper has a pair of factors working in her favor for Saturday: some fresh(er) legs and experience on Balboa Park. Let's start with the experience. Traveling to a national meet is more than just the race. There's the flight, the pre-race festivities, a new environment, warmer weather, a smaller race field, and more. Saturday will be Starliper's second go of it at this meet, so she has familiarity with those new variables. Additionally, having experience on the Balboa Park course is always beneficial. Last year, Starliper led a chase pack with some other contenders that was trying to run down eventual race winner Claudia Lane. Ultimately, that aggressive strategy Starliper employed, leading that group cost her late in the race as she ended up finishing 13th. Starliper has said many times that she takes each race as a learning experience. Surely, she gained some valuable insights from her first Foot Locker Nationals race a year ago. Coming into this race, Starliper may also have a little extra pep in her step relative to some of the others in the field. 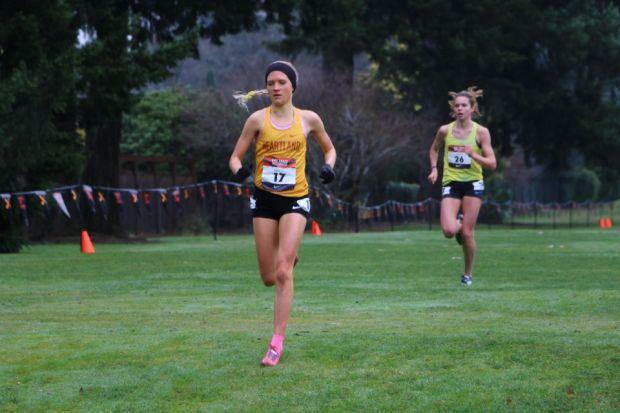 A number of the top contenders for Saturday raced last weekend at Nike Cross Nationals in Portland, Oregon. Starliper declined an at-large invitation to last week's NXN to focus on Foot Locker. Going to NXN would have meant two long cross-country flights in two weeks and two tough races against the best of the best. Instead, she got a week of rest to get ready for Saturday. Taylor Ewert (third), Emily Covert (fourth), Alex Morris (seventh), Ericka Vanderlende (eighth), Katelynne Hart (16th) are among the top Foot Locker threats that raced at NXN last weekend. 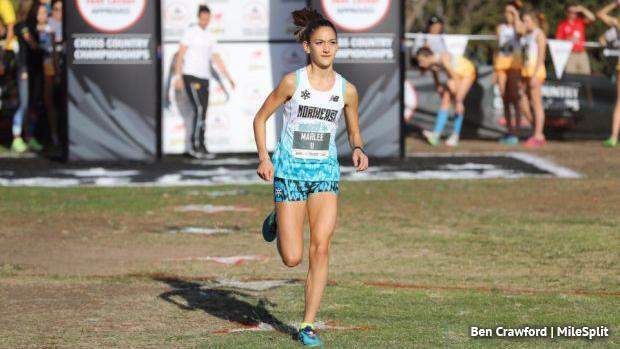 The NXN race comes a week after each girl had to qualify through to Saturday from a Foot Locker regional, which will make Saturday at least their third race in as many weeks. The Northeast region contenders, Masciarelli and Connolly, however, did not race last weekend, also declining at-large NXN invites. The field for Saturday looks wide open, as the numbers tell us it could go any number of directions. There are a number of variables that should be taken into account. The aforementioned experience and whether or not the runner contested NXN last week are among the biggest factors. The reigning champion Lane is not racing this season. The senior has missed considerable time due to injury. So there will be a new champion. Hart from Illinois is the top returner in the field. Second a year ago, Hart has the experience. However, she was 16th at NXN and her best speed rating this season sits at 153 (twice). Masciarelli is seen by many to be the favorite with the best speed rating in the field. She will be making her nationals debut. The breakthrough sophomore has been a revelation this season. She is, however, still seen as a bit of an unknown, despite her FLNE success. Her race strategy and how she handles the race will be worth watching for. Connolly, meanwhile has Foot Locker Nationals experience from two years ago (she was 9th in 2016), but didn't race FLNE last year because of injury. Covert from Minnesota was ninth a year ago. She took fourth at NXN and is running very well this season, which included a win at Foot Locker Midwest. She ran 157 speed ratings in each of her last two races. 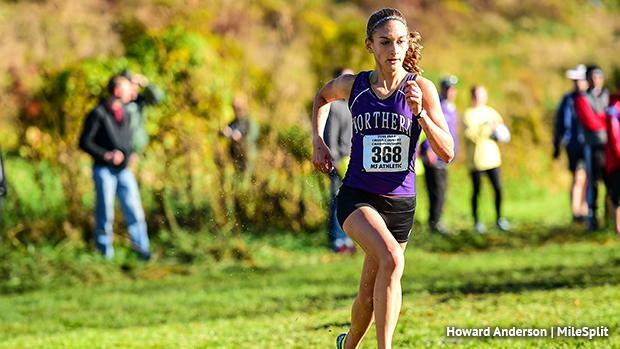 Ewert is making her Foot Locker Nationals debut. The racewalking specialist is in the midst of a huge fall and should be a factor after a strong NXN race, where she took third. She had a 158 speed rating at NXN. Adelyn Ackley of Michigan and Adoette Vaughan of Texas were 10th and 11th at Foot Locker Nationals last year, just ahead of Starliper. Both are back this season. Morris of Illinois and Vanderlende of Michigan are among the midwesterners that should contend. Vanderlende ran a 155 speed rating to win the MI state title. Freshman Abby Vanderkooi, also from Michigan, is another unknown, but could make some noise in her nationals debut. The "Big 5" here looks to be Covert, Ewert, Hart, Masciarelli, and Starliper. Covert and Ewert are coming off terrific NXN races, while Hart's performance last year can't be overlooked. Masciarelli will look to turn her FLNE victory into national gold, but Starliper will certainly be looking to reverse her Van Cortlandt Park fortune in California. To answer the question in the headline, yes, Marlee could walk away from Foot Locker Nationals as Pennsylvania's second-ever national champ. The factors seems to line up favorably as we head into the weekend. Starliper will look to make some history on Saturday at Foot Locker Nationals. But all this speculation won't mean much when the gun goes off, and with a talented field, anything can happen. Time to enjoy the final XC race of the year!